Dr. Beaver currently serves as the Cancer Liaison Physician to the American College of Surgeons – Commission on Cancer for Approved Cancer Programs. She has served in this capacity for over 11 years. In addition, she serves on the Breast Center of Excellence Committee, Cancer Committee, Oncology Service Line Committee, Surgical Services Committee, and the Executive Committee of Watauga Medical Center. 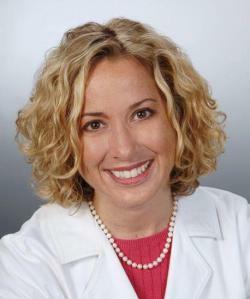 She also proudly served her colleagues as the Chair of the Surgery Department at Watauga Medical Center 2013-2014. As a general surgeon for Watauga Surgical Group, Dr. Beaver routinely encounters, diagnoses, and treats a broad scope of general surgery conditions. Dr. Beaver has achieved certification in Breast Ultrasound by the American Society of Breast Surgeons. She is proficient in minimally invasive, endoscopic, and laparoscopic techniques with a passion and special interest in breast surgery, thyroid surgery, parathyroid surgery, and surgical oncology. She is committed to working in unison with oncologists and radiation oncologists to ensure her cancer patients receive a personally designed treatment and follow-up plan. Besides her passion for private surgical practice, Dr. Beaver previously operated at the Mountain Home VA Medical Center in her hometown of Johnson City, Tennessee. While there, she served as the Chief of General Surgery, acting Deputy to the Chief of Surgery, and Chair of the Cancer Committee. She also enjoyed mentoring surgical residents and medical students at East Tennessee State University. Although Dr. Beaver provides advanced and innovative technologies here in the United States, she has always devoted time to travel abroad and volunteer in underprivileged medical facilities around the world. She has served in African, Central American, and South Asian hospitals. Anne-Corinne has strong aspirations to continue her mission work and volunteer overseas. When not performing her medical duties, Anne-Corinne enjoys reading, running, scuba diving, skiing, and traveling. She also enjoys attending church, walking her dogs, and watching college football with her family.